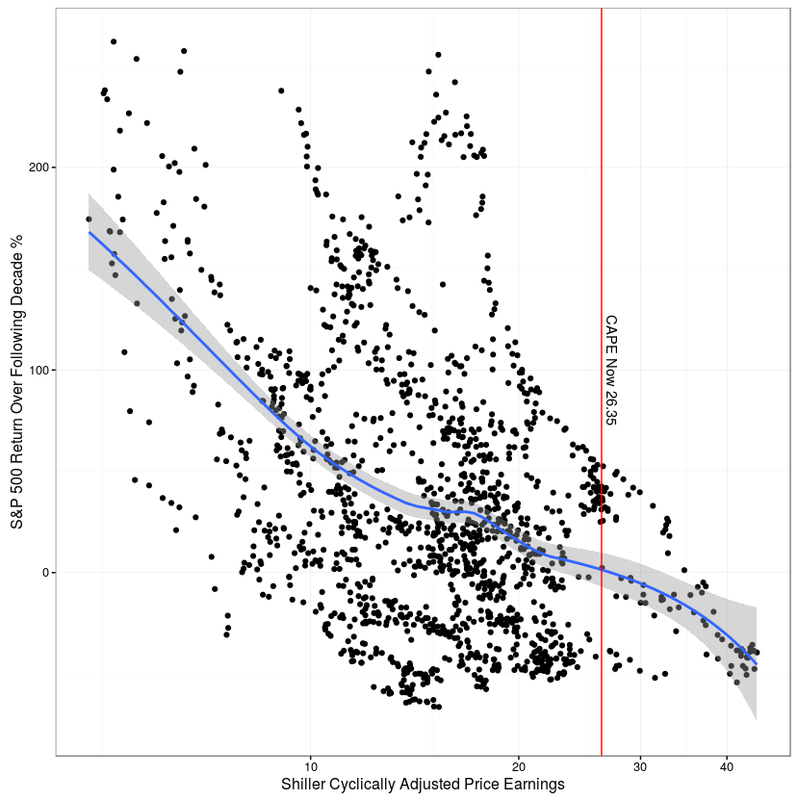 We can also plot the decade ahead S&P 500 return vs cyclically adjusted price earnings today to see if Shiller’s CAPE provides a lead indicator of future returns. This shows Shiller’s CAPE on the x-axis and S&P 500 return over the following decade on the y axis. The vertical red line is the most current value of Shiller CAPE.